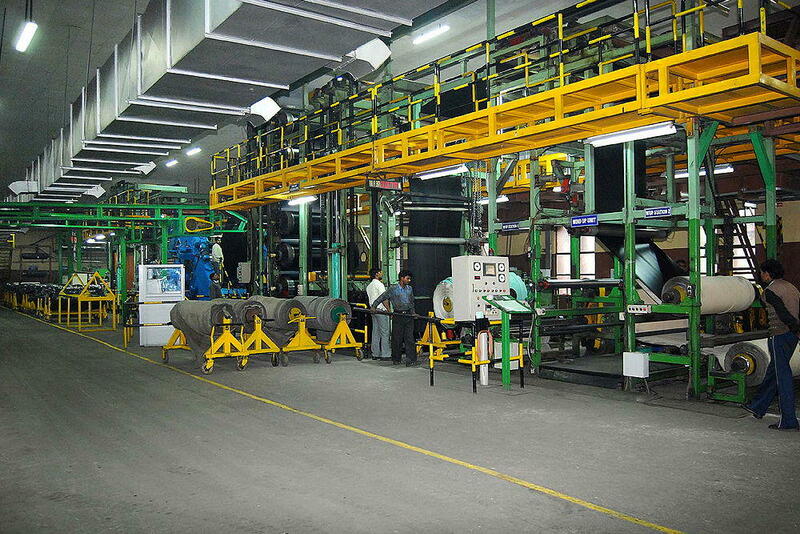 Balkrishna Industries Limited (BKT), the leading Off-Highway tyre manufacturer headquartered in India, has entered into a joint research agreement with leading US biotechnology company Kultevat, which specialises in the cultivation and processing of TKS dandelion as a renewable and sustainable alternative for natural rubber. The purpose of the agreement is the development of new compounding methods based on TKS rubber to be integrated in the tyre manufacturing process. All studies, analyses, experimentation and testing will be carried out at BKT's recently opened, modern research and development center known as the Suresh Poddar Innovation Hub, that covers an area of 25 acres within the company’s latest and largest production site at Bhuj, India. The R&D Center was inaugurated last year with the announcement of a series of ambitious projects related to sustainable materials, including research into alternatives to natural and synthetic rubber, as well as the development of high-performance compounds with nanomaterials and nanocomposites. This major R&D project is part of the company’s commitment to sustainability and innovation as well as fully in line with latest industry requirements and the European Commission’s recommendations concerning critical raw materials. Kultevat Inc is involved in research relating to the extraction of high-quality dandelion rubber from Taraxacum kok-saghyz (Russian Dandelion), or TKS for short, by means of an environmentally friendly process. The company has also developed methods of stabilizing TKS rubber. BKT will use its expertise in the development of compounding methods relating to integrate TKS rubber as a new, renewable and sustainable raw material into the manufacturing process for off-highway tyres. The agreement involves a first-project stage with several sample deliveries in 2018, whereas stage two of the project provides for the supply of one metric tonne of stabilised TKS rubber to BKT by October 2019. BKT thinks dandelions could provide natural latex for tyre production. TKS rubber could eventually replace or reduce the use of natural rubber. Having gained some general understanding of the physical and chemical behavior of the new raw material and the development of the first compounding methods, more specific analyses, testing and experimentation will follow to learn about more specific performance criteria such as behavior if exposed to mechanical stress; fatigue resistance; tensile strength; durability and resilience; cut, tear and heat resistance; and so on. Several formulations will be tested for the development of semi-finished compounds to obtain best tyre performance for the specific requirements of the most varying applications in the fields of agriculture, earthmoving, port and mining, ATV and industrial applications. According to the findings, it might be necessary to modify existing production processes and equipment. It will be a long but challenging path of analyzing, designing and conducting adequate experiments, and setting performance criteria based on conventional knowledge before the first prototype of a specific tyre for a specific application will be built. The agreement is enormously significant given that world natural rubber consumption is expected to be 17 million tonnes by 2025. The increasing global demand, especially in the tire industry, will soon lead to a shortage of this raw material. To meet this demand, 8.5 million hectares of additional rubber plantations would be required. Russian Dandelion was already used during another period of rubber shortage in Europe after World War II. Its use became forgotten, however, after the invention of synthetic rubber. Thanks to advanced biotechnology and environmentally friendly processes, Kultevat is able to supply TKS rubber in bulk.